If I knew nothing about this book, I’d want to read it based on the cover alone – isn’t it the perfect picture of tranquility? 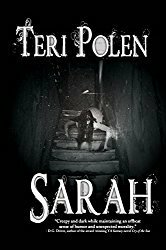 But don’t be misled because, as it also says on the cover, ‘Small towns hold the darkest secrets.’ And that is so true of the town of Eclipse Lake. Mae Clair captures the atmosphere of small towns so well – the gossip, reputations that are never forgotten, nosy neighbors, etc. But she also creates characters that lure you into that small town, asking you to stay awhile and learn their hidden secrets and scandals. And that’s why I found it so difficult to put this book down. Most people who read this will be charmed by the romance between Dane and Ellie – and I was, but the relationship that wormed its way into my heart was between Dane and his son, Jesse. I loved how they were so protective of each other and the way Jesse’s respect for his father grew even more (eventually) upon learning about his past. As an animal lover, Koya also stole my heart. When the mystery is revealed – I sure didn’t see that one coming. Thought I had it figured out all along – wrong! Well-paced, both captivating and unlikable characters, clashing family dynamics – Eclipse Lake offers mystery and suspense as well as a good redemption story. I loved this book. Then again, I really love everything Mae writes. Great spotlight, Teri! Thanks, Staci – of the books I’ve read by her, Mae is batting 1000. That’s a high compliment! Thanks so much, Teri! You’re very welcome, Mae – really enjoyed it! Teri, my curiosity is piqued! Thanks for this review. Wishing Mae the best of luck with this one. Hugs all around. Trust me, Teagan – this one will get the curiosity going – hugs! Hi, Teagan! Thanks so much for checking out the review. I’m glad Teri piqued your curiosity! This is the second review I’ve seen of this book and I’m looking for the Amazon link! Thanks Teri for adding to my TBR list. I always laugh at your growing pile, but mine is out of control! Ha ha. YAY! So glad I’m on the TBR! I swear those TBRs mutate when we’re not looking. Mine is the same way. Remember the old movie The Blob, and the way it just kept getting bigger? That’s my TBR, LOL! I used to only buy as I was ready to read. Now I buy them and buy them (read one) but four more, etc. Yikes. But such fun. It’s a good one, John. 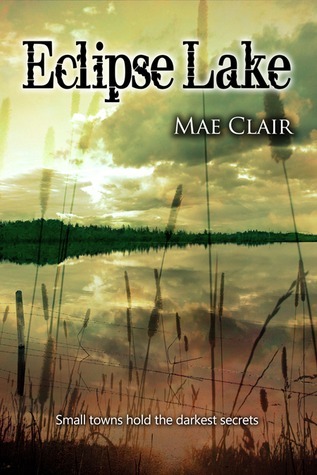 Check out the book, Eclipse Lake, by Mae Clair, as featured on the Books and Such blog. I like this review as well! I’ll have to get this one! 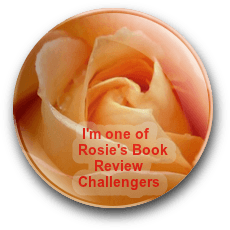 It definitely kept me glued to the book, Traci – enjoy!